NASHVILLE, Tenn., April 2, 2019 /PRNewswire/ -- Rio Grande Fence Co. of Nashville was named 2018 National Fence Contractor of the Year by the American Fence Association at FENCETECH 2019 in Indianapolis. AFA's Fence Contractor of the Year Award recognizes a company's outstanding service to AFA that advances the name, reputation, and ideals of the Association on both local and national levels, as well as the company's integrity and character. Rio Grande has won the award four of the past six years. "We are proud to win the 2018 National Fence Contractor of the Year award, our fourth," said Derek Smith, Chief Operating Officer and third-generation owner. "In 2018 we celebrated our 60th year in business, and the award is a tribute to our unique culture. We continued many traditions, served devoted as well as new customers, and extended our outreach into the greater Nashville community." Highlights for the year and criteria for the award included the Company's 3rd Annual Fence Skills Championship™, a competition among employees measuring speed and precision of critical fencing skills; COO Derek Smith speaking locally at Donelson Christian Academy's Career Day and at FENCETECH 2018 to over 100 attendees on how to "Train, Retain, and Grow Your Organization;" sending two employees to AFA University in Arlington, Texas; in-house, weekly employee fence education modeled after AFA University and safety education programs led by Smith and taught by rotating employees; the Annual Good Friday Service Project, which donates a commercial fence installation to a deserving non-profit; the 6th Annual Red Wing Boot Day providing free safety boots to employees; multiple awards from local ABC and AGC chapters; fence installations at some of Tennessee's largest construction sites for Google, Amazon, and Target, among others; and celebrating the Company's 60th year in business. "Winning our fourth AFA National Contractor of the Year award in six years is quite an accomplishment and speaks to the character of our Company. We have never wavered from the principles upon which my grandfather founded it," Smith said. "We treat our employees as family, our customers as colleagues, and our reputation as irreplaceable. Our commitment to this creed leads to employee retention, repeat business, and leadership in Nashville and the fencing community at large." 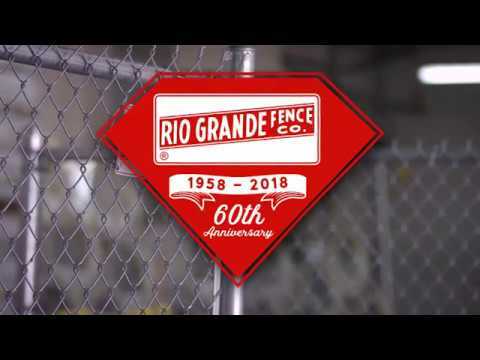 Since 1958, Rio Grande Fence Co. of Nashville, The Commercial Fence Professionals™, has been installing, repairing and renting fence for commercial and industrial projects in the Mid-South region. Rio Grande's work can be seen at Nashville's police precincts, Nissan Stadium, Nashville International Airport, and many other businesses, sports facilities, and government projects. Rio Grande Fence Co. won the American Fence Association National Fence Contractor of the Year Award in 2013, 2015, 2016, and 2018.